POWERSLIDE NEXT 125 WHITE SKATE. The new Megacruiser. Refined style, exceptional features. The Powerslide NEXT is the first of it's kind ? 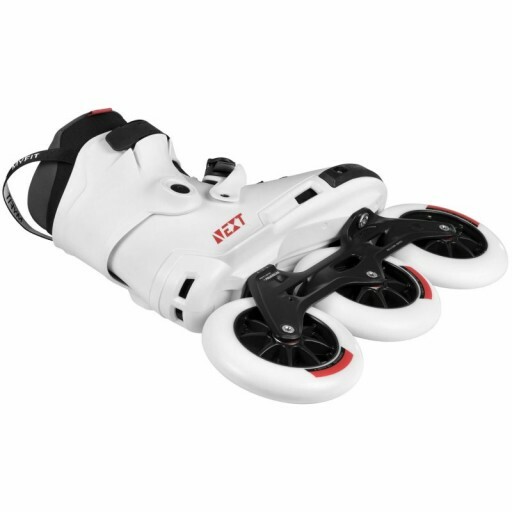 the first TRINITY 3-point mounting hardshell Inline skate in the world. The Next offers plenty of custom options for you to personalize your ride. 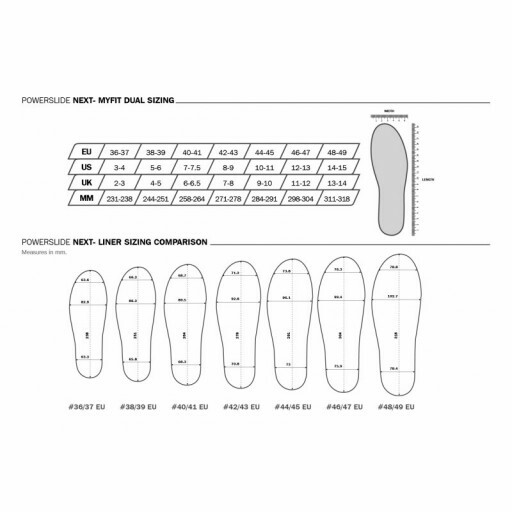 Adjust the flex of your skate by cutting the wings of your shell. Customize the support by changing the cuff height or equalize misalignements by adjusting the cuff only on one side (canting). You can even cut your cuff and shorten the cuff wing. 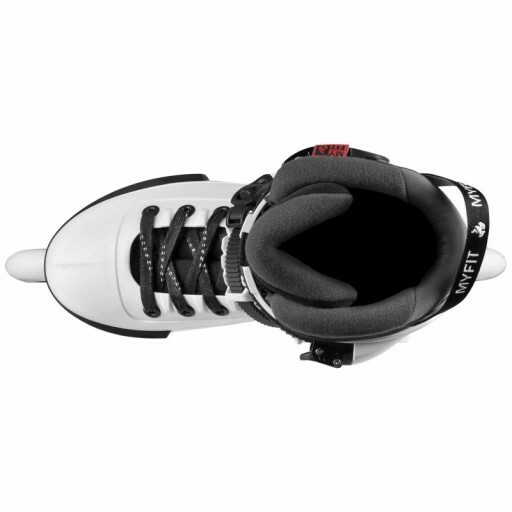 Last but not least TRINITY is the most advanced mounting system which allows you to switch your skate from a freeskate to an SUV skate, a long distance training skate or even an ice skate. 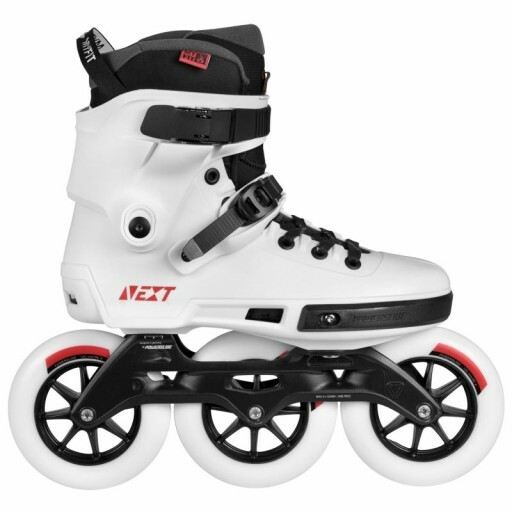 The Next 125 is full of incredible features such as the super comfortable heat moldable MYFIT Recall liner covering two sizes, plus the resilient and stylish 255mm elite casted aluminum frame. Feel the power of 125mm / 88A Powerslide Infinity wheels which come as standard on this skate, completed of course with Wicked ABEC 9 freespin bearings. 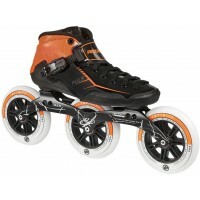 Feel the advantages that the Next offers from the minute you start skating. The combination of unmatched comfort, amazing performance and outstanding design build the character of the Next 125 skate. Обычная цена: 31 473,86 руб.